What happens when you put 15 thousand people in a space observatory site and throw in some music and a lot of science? Well, of course, it’s going to be a thrilling and insightful weekend to celebrate the Royce’s first outing into the world of public engagement at Bluedot 2018. 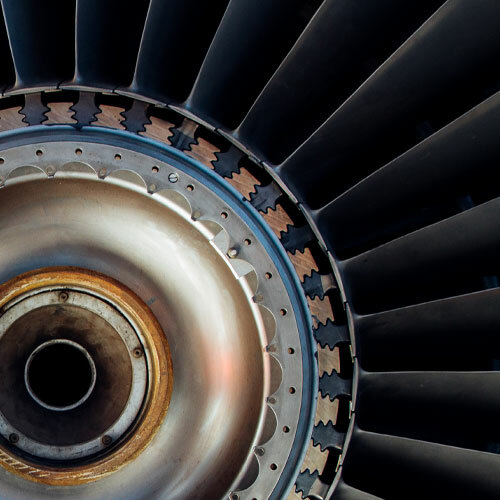 As the Institute looks to solve such pressing challenges as energy storage for electric cars and clean water filtration using 2D materials; we pitched up at Jodrell Bank under the renowned Lovell telescope to explore materials science from the Stone Age to the Carbon Age. 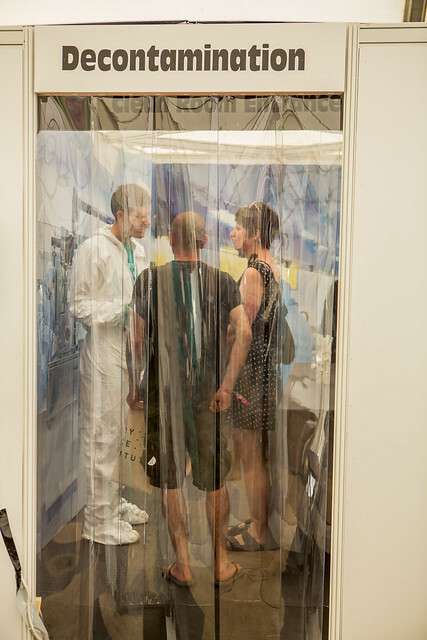 Once festival goers had suited up in cleanroom attire, gone through a decontamination zone and explored a simulation of the National Graphene Institute Laboratories; it was time to hit the Royce Lab and tackle six interactive challenges to secure a prize and become an esteemed member of #GenerationRoyce. The Charpy Impact Tester was undoubtedly the favourite challenge with volunteers from across the Royce partners explaining how the microstructures of materials influence their impact resistance with chocolate. By understanding the properties of materials, festival-goers were able to relate the make-up of Mars, Crunchies and Wispas to real-world applications in construction. ‘A big part of Royce is inspiring the next generation of scientists to remind people that being a scientist is about using your imagination and asking questions. The Royce’s aim to make, assemble, test and characterise materials was apparent throughout the Lab, and inspired by England’s surprise success in this summer’s World Cup, the 3D printed replica of the trophy secured one young boy the goody bag prize in Friday’s photo competition. 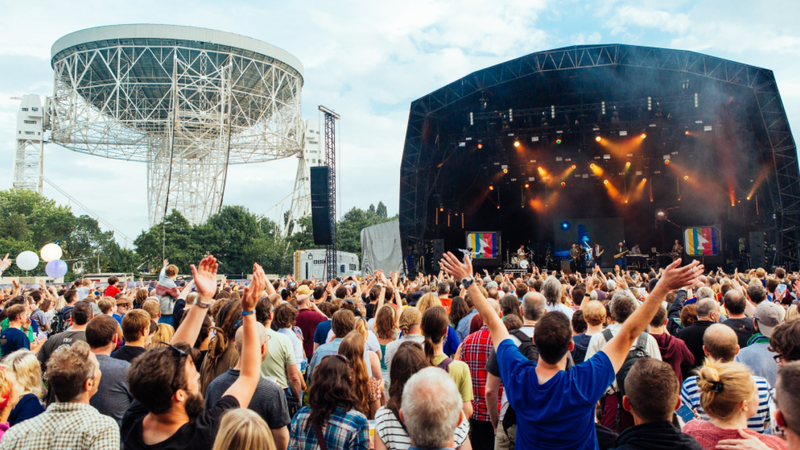 Take a look at our Flickr gallery for highlights from this year’s Bluedot festival and visit our Twitter account to catch up with the best moments.